- Over 150 surf cams worldwide. - Panoramic, multi-view surf cams. 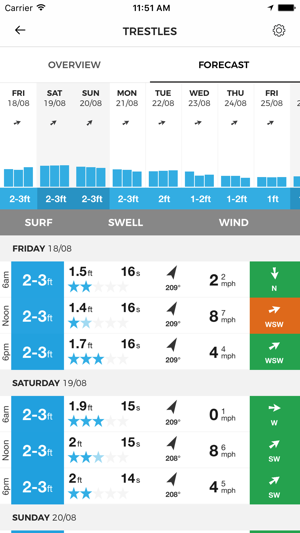 - Swell, wind, period and pressure charts. - Live buoy and wind data. 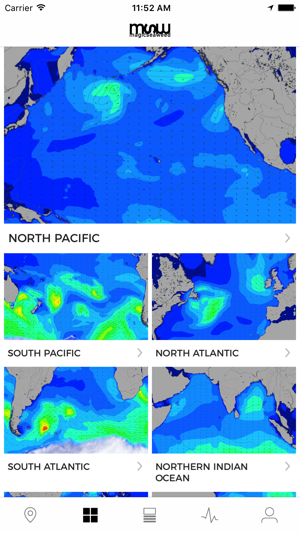 - Real-time surf reports from our network of trusted reporters. - MSW editorial features and the latest surf news. - Favorite spots, accessible across any device. - The best surf-specific photo gallery in the world. - Surf spot/beach local business directory. - Unlimited advert free access to our global surf cam network. - 16-day extended spot forecasts. Subscription will be charged for renewal within 24 hours prior to the end of the current period, and identify the current cost of the renewal. Subscriptions may be managed by the user and auto-renewal may be turned off by going to the user's account settings on their iPhone after purchase. Hello – thanks so much for your review! Just wanted to let you know that you can change your settings within the app so that temperature displays in Fahrenheit, rather than Celsius. Simply open the app, click the far right icon in the action bar (it looks like a little avatar). Scroll down the list until you see UNITS. Tap this, and update to "US Units". Then your temperatures will display in Fahrenheit. Note that this will also changes the display of tides to feet, rather than meters. Hope this helps! So much better than Surfline. Surfline Used to be great. But now it just feels like a huge corporation. Only today forecasts and expensive monthly fees for premium. And don’t forget the inaccurate wave reviews. But Magic seaweed has everything surfline has and better. Seven day forecast for free that feel accurate and have more information. 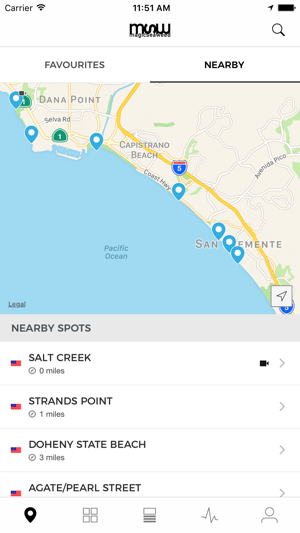 They have more surf spots and a great description. The website was a little tricky at first but now I love it. Get magic see weed! I only get to surf once a month or so due to being landlocked in college. Forecasts are generally accurate and easy to understand and even without paying for a full membership offer forecasts a week in advance, making it easy to plan your next trip.